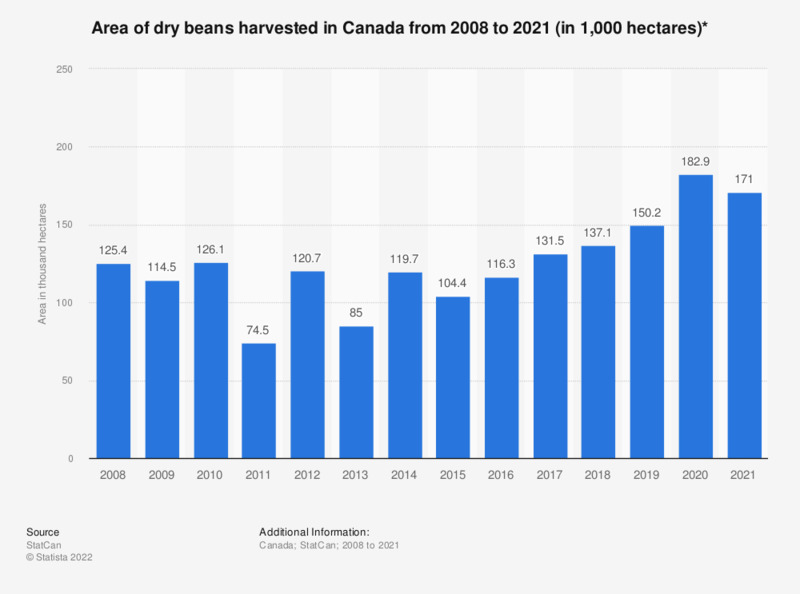 This statistic shows the area of dry beans harvested in Canada from 2008 to 2018. In 2017, approximately 131,500 hectares of white and colored dry beans were harvested in Canada, up from around 116,300 hectares the previous year. * Includes white and colored varieties.